I am sick and tired of winter. 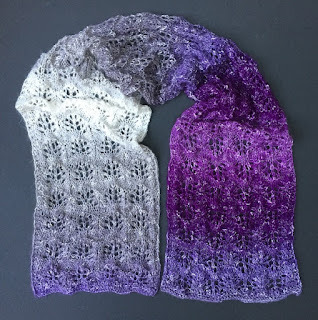 I do not want to knit gloves and scarves and winter hats until next fall. Actually I do not want to wear them anymore either. I yearn for spring. Soon we will have birds singing on the trees and we won't have to bundle up anymore. Aaaahhhh. Until next winter, that is. That vision made me work on my newest project - spring/summer hat for a baby. It took me about 5 days to crochet, videotape, edit, convert the video into the proper format, upload it, do a write up and share it on social media for my fellow knitters out htere all over the world. Anyway, here are the specs: the circumference of the hat is about 14" and it's height is 5.75", so I think that about 3-6 moths old baby could wear it without any problem. 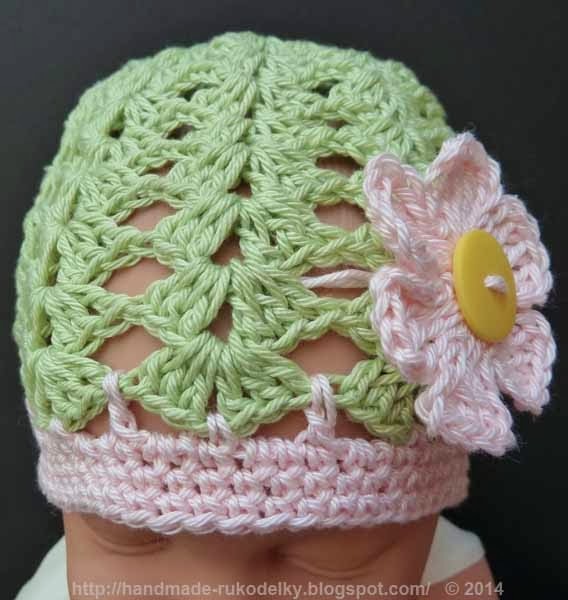 The stitches I used in this pattern are chain, slip stitch, single crochet and double crochet, so if you know how to do those, you can crochet this hat for sure. I made a video which you can view HERE. See Step-by-Step written instructions below. If you have a spare time, know how to crochet and know a baby that is about 3 months old and older, get yourself some cotton yarn and make some one happy with a beautiful stylish hat. And do not be shy to share this with your friends-crocheters. Happy knitting and crocheting. Cheers. Sunday, May 31, 2015 - I made a small update to this pattern. Use the numbers in red curly brackets if you want to crochet this hat for a 1 year old child. The numbers are mathematically calculated thus only approximate. The red numbers should correspond with about 18" circumference. If anyone of you out there will follow this pattern for one year old, please let me know if it is OK, and if there are any errors. THANK YOU. Row 2 crochet into the base circle *[ch3, 2 dc, ch3, sl st]* - repeat from * to * four more times (total 5 petals), place button in the middle to the flower and attach both to the hat. If any one of you finds any error, pls let me know.